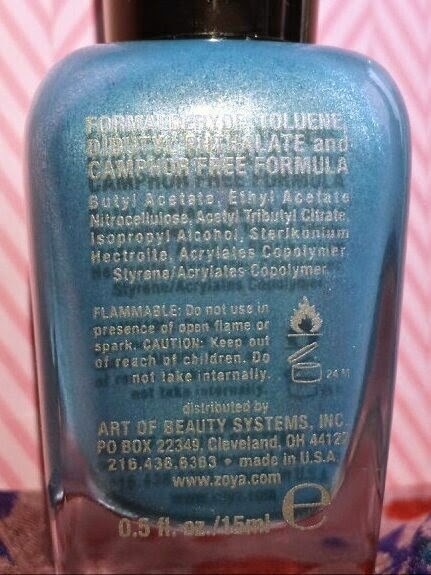 The formula of this polish is good. It claims to be full-coverage and that can be achieved in two coats. However, in direct sunlight you will see VNL (visible nail line). How obvious the VNL is depends on how thick the coats are that you use. If you are worried about this, you can use thicker coats or you can apply a third. You risk the chance of bubbling if you choose the thicker coats! As you can see, it is pretty much opaque unless you look very closely (in person - it's not easily visible in the photos)! 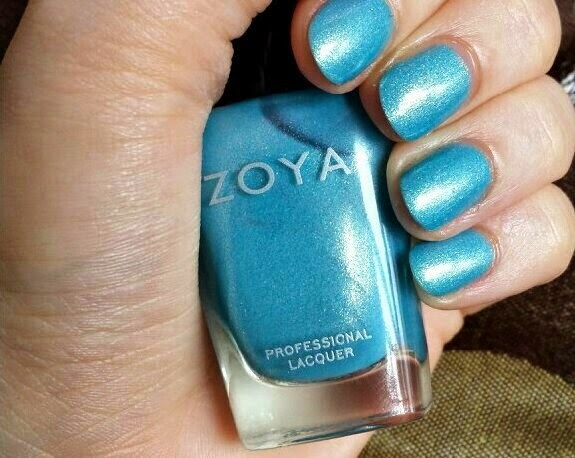 The consistency of this polish is very easy to apply onto the nail. It isn’t runny (so no messy cuticles!) and it isn’t too thick rendering it difficult to spread. It’s just right! 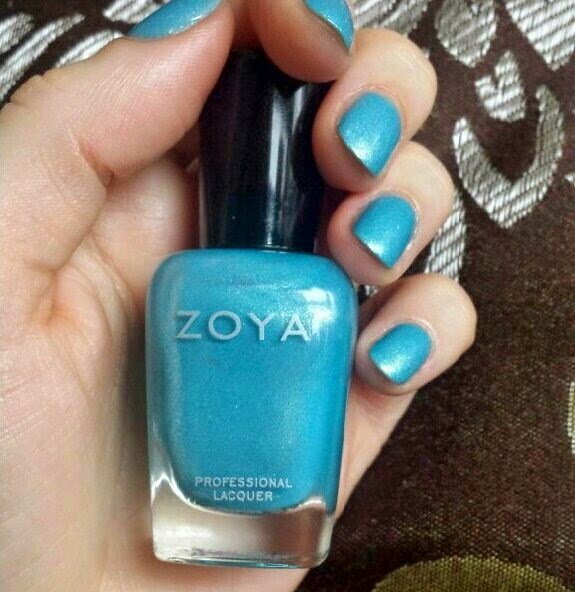 As with other polishes by Zoya, the brush is thin but fans out to cover the nail well making it easy to use. Polish is easily distributed and you can fully coat the nail quickly and neatly. 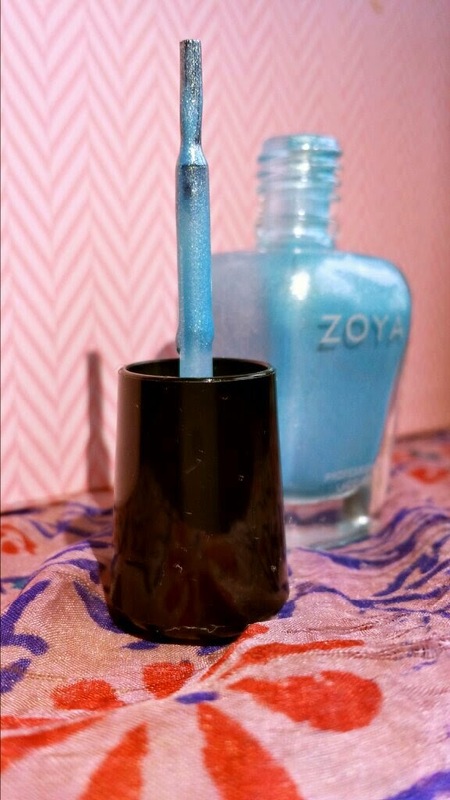 Because of the formula and the brush, you can manage to paint your nails in no time with this polish which is fantastic when you don't have much time! I painted mine and took these photos whilst my little man was having a nap (the only time I can get to do it as he obviously comes first! The same goes for blogging, eating, etc. I’m typing this whilst he is sleeping next to me! :)) so I always appreciate a good, easily applied polish! Drying time from what I could tell was average, but once again I used my Seche Vite dry fast top coat to speed up the process! A dry fast top coat is essential for all busy mums who want to find time to paint their nails (in my opinion). Now here is the main point - how pretty is this polish!? 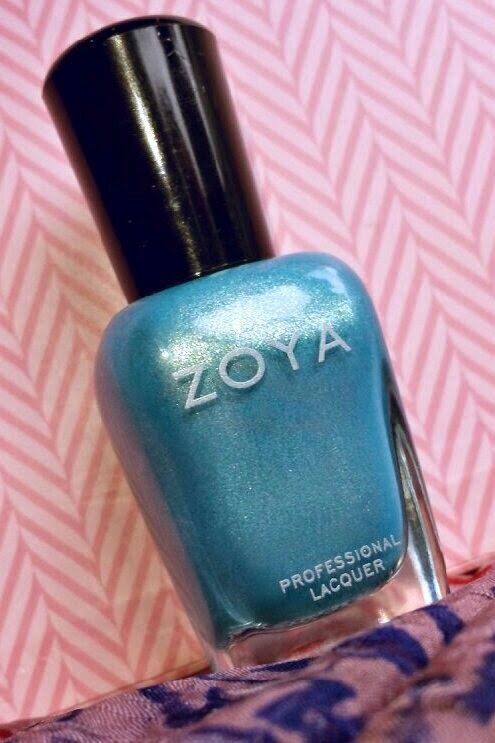 It is so perfect for spring and it glistens beautifully in person! Photos simply do not do this colour justice! It is frosty but warm at the same time. 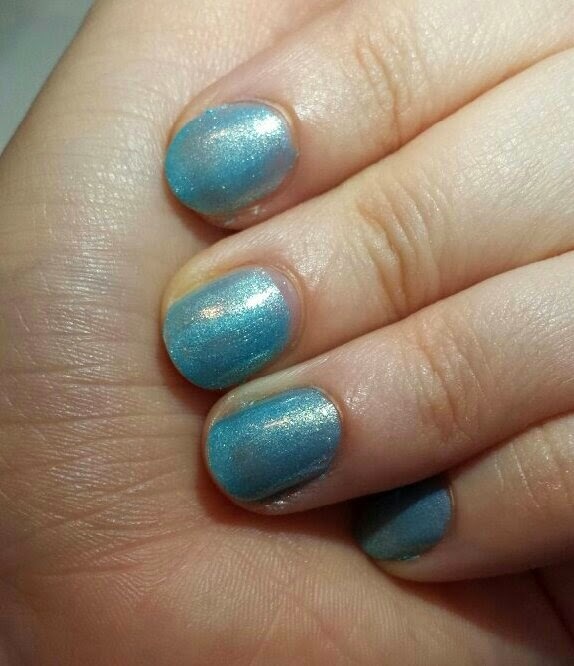 It’s metallic and girly yet also reminds me of water in the summer with the sun twinkling on the surface. It’s bright yet subtle at the same time, which I never even really thought was possible. I don’t even know if I’m just rambling in this paragraph or if I am actually making sense. The polish is just so pretty that it keeps catching my eye and throwing me off guard! It is advertised as including silver glitter and it looks silver in photos, but in person it looks like gold glitter or even a combination of both gold and silver. 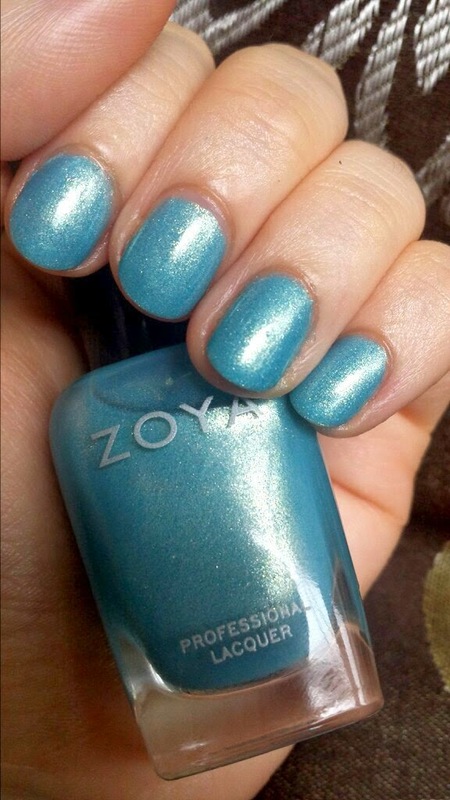 The Awaken collection by Zoya is full of beautiful pastel shades that are all wonderfully suited to spring. It also comes with a glitter top coat (called Monet) that features holographic glitter particles so you can add an extra bit of pizzazz (yes I just used the word 'pizzazz'). I can’t comment on the formulas/finish of the other shades as I only own Rebel, but I’m incredibly pleased with the one that I do own. I honestly love this polish. I can imagine that it will be getting a lot of wear throughout the summer as well as spring! I purchased mine from Nail Polish Direct for £10. The other colours in the collection are also available. What do you think of Rebel? Have you got any of the other shades in the range? It is beautiful, isn't it!? I haven't worn nail polish in such a long time! I used to love it when I was in my teens but now I just don't have the time for it, makes me a little sad especially when I see colours as pretty as this one! It's amazing how a little bit of colour can affect your mood!